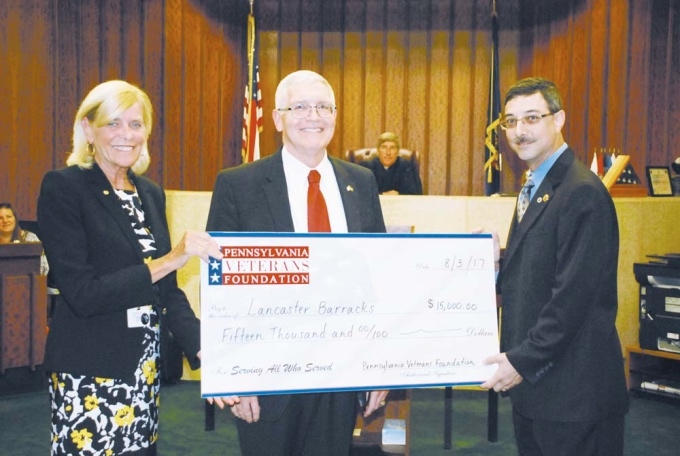 Ray D'Agostino from Rotary Club of Lancaster South and Director of Lancaster Housing Opportunity Partnership, and Bonnie Bowman, Lancaster County Recorder of Deeds accepts a check in the amount of $15000 from Brig. Gen. Mike Gould (center) on Aug. 3, as the Honorable Jeffrey Wright looks on. The gift will support the Lancaster Barracks project. 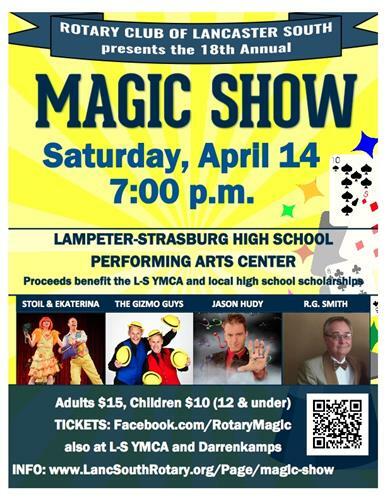 Rotary Club of Lancaster South is contributing $2500 to this project plus labor. For the complete article click here.